Cool glamour and the perfect investment to begin your arm party. 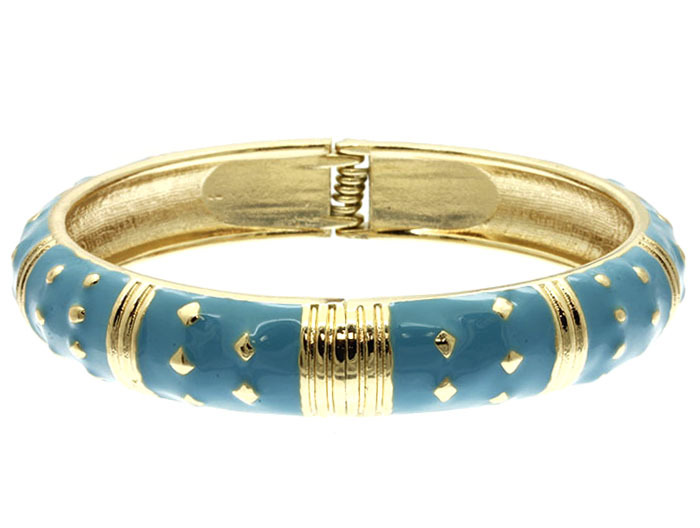 The Maya Bangle Bracelet in turquoise blue is embellished with gold diamond detailing. Too wearable for words. Shop today from one of Australia's favorite jewellery stores. Quality is guaranteed with our hassle free exchange policy.